Why are mergers examined at the European level? While companies combining forces (referred to below as mergers) can expand markets and bring benefits to the economy, some combinations may reduce competition. Combining the activities of different companies may allow the companies, for example, to develop new products more efficiently or to reduce production or distribution costs. Through their increased efficiency, the market becomes more competitive and consumers benefit from higher-quality goods at fairer prices. 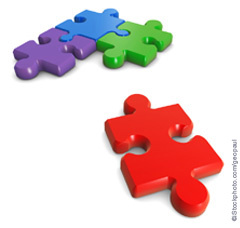 However, some mergers may reduce competition in a market, usually by creating or strengthening a dominant player. This is likely to harm consumers through higher prices, reduced choice or less innovation. Increased competition within the European single market and globalisation are among the factors which make it attractive for companies to join forces. Such reorganisations are welcome to the extent that they do not impede competition and hence are capable of increasing the competitiveness of European industry, improving the conditions of growth and raising the standard of living in the EU. The objective of examining proposed mergers is to prevent harmful effects on competition. Mergers going beyond the national borders of any one Member State are examined at European level. This allows companies trading in different EU Member States to obtain clearance for their mergers in one go. Which mergers are examined by the European Commission? If the annual turnover of the combined businesses exceeds specified thresholds in terms of global and European sales, the proposed merger must be notified to the European Commission, which must examine it. Below these thresholds, the national competition authorities in the EU Member States may review the merger. These rules apply to all mergers no matter where in the world the merging companies have their registered office, headquarters, activities or production facilities. This is so because even mergers between companies based outside the European Union may affect markets in the EU if the companies do business in the EU. The European Commission may also examine mergers which are referred to it from the national competition authorities of the EU Member States. This may take place on the basis of a request by the merging companies or based on a request by the national competition authority of an EU Member State. Under certain circumstances, the European Commission may also refer a case to the national competition authority of an EU Member State. See more on the procedures followed by the Commission. When are mergers prohibited or approved? All proposed mergers notified to the Commission are examined to see if they would significantly impede effective competition in the EU. If they do not, they are approved unconditionally. If they do, and no commitments aimed at removing the impediment are proposed by the merging firms, they must be prohibited to protect businesses and consumers from higher prices or a more limited choice of goods or services. Proposed mergers may be prohibited, for example, if the merging parties are major competitors or if the merger would otherwise significantly weaken effective competition in the market, in particular by creating or strengthening a dominant player. When does the European Commission approve mergers conditionally? However, not all mergers which significantly impede competition are prohibited. Even if the European Commission finds that a proposed merger could distort competition, the parties may commit to taking action to try to correct this likely effect. They may commit, for example, to sell part of the combined business or to license technology to another market player. If the European Commission is satisfied that the commitments would maintain or restore competition in the market, thereby protecting consumer interests, it gives conditional clearance for the merger to go ahead. It then monitors whether the merging companies fulfil their commitments and may intervene if they do not.